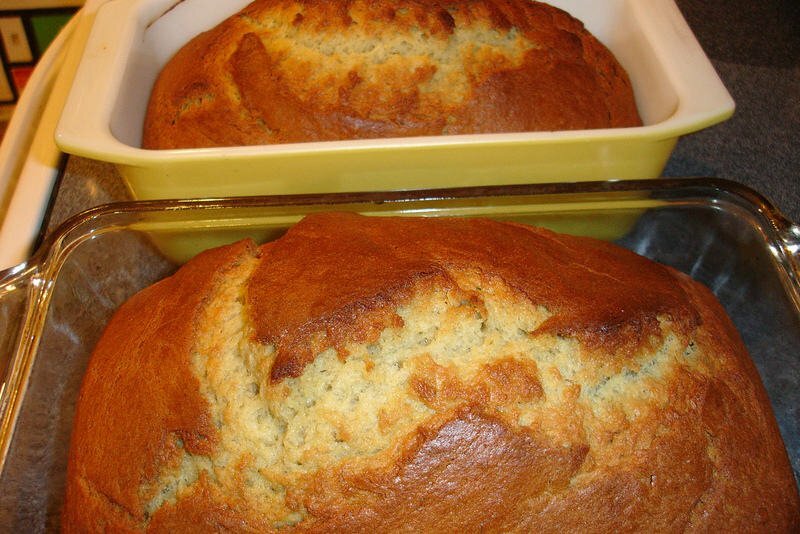 Home » Bread Recipes » Banana Bread – you can make banana bread at home, it is easy to make, and tastes wonderful. 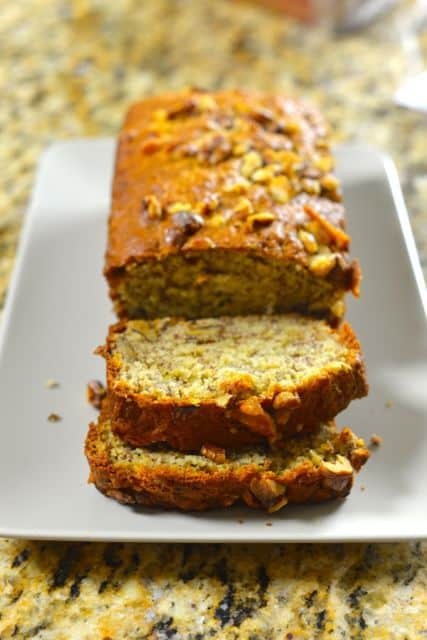 This is my banana bread recipe that I go to anytime I make banana bread. This is easy to put together, and the nuts are optional. My recommendation for this banana bread is to use King Arthur Flour because it produces a better bread. I grew up on this banana bread, I think I could almost make this banana bread without even looking at the recipe. For variety you can add a few nuts, some poppy seeds, or even an extra banana if you happen to have an extra on hand. You can make amazing homemade banana bread from scratch. Preheat oven to 350 degrees. In a large mixer bowl combine 1 cup of the flour, the sugar, baking powder, baking soda, and salt. Add mashed banana; softened butter, and milk. Beat with an electric mixer on low speed till blended, then on high speed for 2 minutes. Add eggs and remaining flour, beat till blended. Stir in nuts. Pour batter into a greased 8x4x2-inch loaf pan. Bake at 350 degrees for 55 to 60 minutes or until a toothpick inserted near the center comes out clean. Cool for 10 minutes on a wire rack. Remove from pan; cool thoroughly on a wire rack. Wrap and store overnight before slicing. Is this for 1 loaf of bread or 2?